At the start of this month, we reported on a massive new war that was kicking off in the north of EVE Online. The words “The Imperium Strikes Back!” rang across the game as one of the game’s largest military coalitions moved thousands of capital ships north in preparation for what it called a “dirty war.” The group planned to dump hordes of capital ships on the enemy aggressively and with little regard of the financial cost, using its vast economic wealth to spread pain and misery. This was going to be The Imperium’s great return to nullsec warfare after a year of farming ISK and building up resources, and that narrative was used to get thousands of players on board. The reality hasn’t been quite so dramatic, but it’s been very interesting on a strategic level. We’ve seen the narrative of this war change substantially over the past few weeks and watched as every victory or loss is quickly spun into propaganda. The Imperium has lost several key battles and appears totally outmatched by the combined supercapital forces of the north, but has also destroyed a few enemy citadels and is already claiming victory over its primary strategic objective. TEST Alliance has seen its own share of victories and defeats in the region against Northern Coalition and Pandemic Legion too, but is now in the process of packing up to go home. In this edition of EVE Evolved, I examine the major strategic goals during this war, the apparent change in The Imperium’s narrative, and the effect on the average alliance line member. The Imperium embarked on this war for a whole range of reasons, but its primary strategic objective was to put pressure on two existing wars that were already happening at the time: TEST Alliance’s war with Guardians of the Galaxy in Venal and Mercenary Coalition’s war with The Initiative in Syndicate. These wars were being interfered with by Pandemic Legion and Northern Coalition, so The Imperium struck at Pandemic Legion and Northern Coalition’s home systems in Tribute in order to force them to abandon their offensive deployments and return home to defend. Northern Coalition did this pretty much immediately and Mercenary Coalition was forced to withdraw from the region without their support, even unanchoring the Keepstar in FD-MLJ. This allowed Imperium ally The Initiative to conquer all of the moons in the region in record time, which is important because Syndicate is reportedly rich in rare moon minerals. CCP has previously stated that the existing moon minerals will not be re-distributed when the new moon mining gameplay goes live in the upcoming Winter expansion, so claiming lucrative moons now will allow The Initiative to capitalise on the new gameplay when it goes live. After the first Imperium fortizar was lost in Hakonen in a 2700-player time-dilated slugfest, people began asking where the dreadnought blob and the planned aggressive strategy had gone. When The Imperium and TEST both dropped dreadnoughts and carriers in the second fortizar battle, they only deployed around a hundred of each and over half were annihilated. The tone of the war seemed to change at that point, at least to the outside observer. 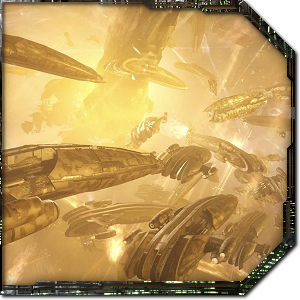 It appeared that there would be no grinding the enemy into submission with mountains of ISK, and no fleets of hundreds of capitals sprayed into the wind in the hopes of sinking a few supercapitals. I suspect that The Imperium thought it would take a few capital ship blobs and some serious citadel spam to get Northern Coalition to pull back to their home region, and were surprised when it happened on day one of the war campaign. With that objective complete and such an overwhelmingly large enemy supercapital fleet present, there’s probably no longer any reason to commit to a wasteful strategy such as spamming capital ships, and the nature of the war had to change. 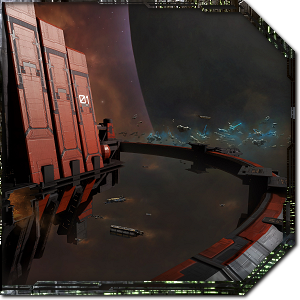 After losing its third Fortizar in the Hakonen system in a smaller battle, The Imperium moved the goalposts again and began emphasising the experimental nature of the war. Its main aim is now supposedly to train pilots in citadel warfare and try new strategies and coalition fleet doctrines. It certainly seems that The Imperium has taken a highly experimental approach to the Hakonen deployment, with citadel spam as a strategy and Typhoon fleets as a potential counter to Machariel fleets. The fact that all of the alliances involved have concentrated their forces in one area rather than fighting on multiple fronts has severely complicated matters, as there are now hundreds of supercapitals on standby and a dreadnought fleet would just be obliterated. Every major citadel battle is also now being fought in 10% time dilation, which is boring as hell and is really killing people’s motivation to take part. Both TEST and The Imperium were in this war mostly to keep their line members entertained, but there’s nothing entertaining about getting wrecked in slow motion. TEST alliance in particular has been screwed over, as its pilots had already been fighting in the area mostly for fun and are sick of PanFam supercapitals dropping on their subcapital fleets. TEST was able to keep motivation up for a time by capturing the station in its former home of TVN-FM from Pandemic Legion, but it was just a bit of fun rather than a real strategic objective. The hype for this war isn’t really building and a more pressing war may now be brewing in the south, so last night TEST officially ordered its pilots to pack up their stuff in Obe and go home to Esoteria. At some point during the past few weeks, this war has turned from a bloodthirsty bid for revenge into a budget test-bed for pilots to practice citadel warfare. The conflict that was announced with promises of “mass capitals” and grandiose threats that “everything will burn” is now an educational school trip to the north of EVE. Perhaps all The Imperium really needed was a break from farming and some combat experience, but only time will tell whether the average line member will remain active in this conflict and be satisfied with the result. Wars in EVE are ultimately fought on the motivation of the troops, and it can be hard to keep motivation up for 8-hour slideshow battles in 10% time dilation without a compelling narrative hook. 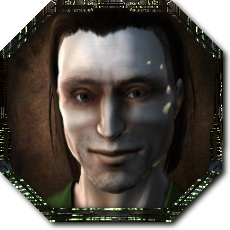 Experimentation may very well have been a major reason for the Hakonen deployment, and the lack of capital use may be understandable from a strategic point of view, but it’s not exactly in line with the murderous revenge story sold to line members when the war began. “The Imperium Tries to Figure Out How To Strike Back” doesn’t quite have the same ring to it. CCP has previously stated that the existing moon minerals will not be re-distributed when the new moon mining gameplay goes live in the upcoming Winter expansion, so claiming lucrative moons now will allow The Initiative to capitalise on the new gameplay when it goes live. Wow, I had somehow missed this information but it looks like you’re right. Before this blog, the official word from CCP at Fanfest was that distribution of existing materials would stay the same. I remember reading this blog and thinking they meant that they’d be adding additional materials to moons but not taking away the current ones, but I was wrong. They are definitely doing a full redistribution. One interesting thing about Syndicate, however, is that it’s NPC nullsec with publicly accessible NPC stations and is relatively close to Jita. This may make it easier for a large alliance to rent out moons or individual mining ops without having to grant anyone access to upwell structures, which may be the plan. Goons in the past have always been keen on sources of passive income like moons, and it was unassailable passive income from gambling sites that eventually kicked them out of their space in World War Bee. They may be planning to make a big move in moon rental and have chosen Syndicate for geographical reasons. The problem with this war is it lacks cocktails and clubbing.